It seemed very easy for OpTic. 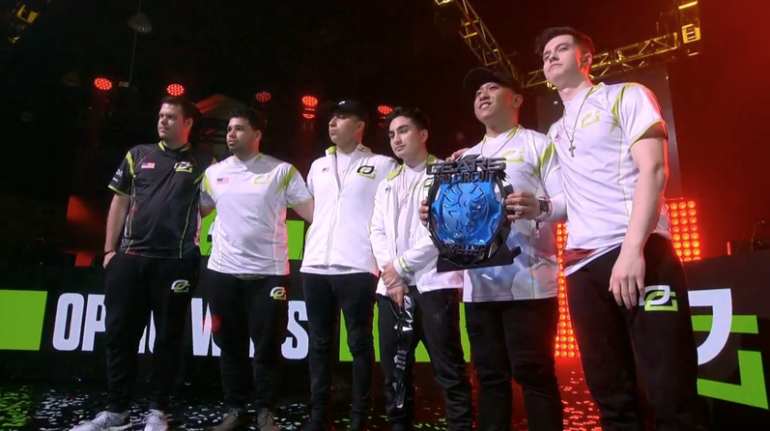 OpTic Gaming have won yet another Gears Pro Circuit title, claiming victory and $100,000 at this weekend’s GPC San Diego Open by taking down Ghost Gaming in the grand finals. Tonight’s championship adds yet another trophy to OpTic’s presumably large case. Although this roster—Gilbert “Xplosive” Rojo, Billy “MentaL” Putnam, Alex “SuMuNs” Ascencion, Brian “SoLuRs” Valenzuela, and Arody “Praized” Dipre—is different than the one that took home the GPC Columbus Open grand prize in 2016, the team may be more dominant than ever. An OpTic player was even heard telling his teammates in the grand finals to save strategies for the next event, a sign that the Green Wall’s favorite team was certainly in control. This tournament was the 11th Gears Pro Circuit open event, and OpTic’s ninth GPC open championship, further proving that OpTic’s GoW squad might be the greatest team in the esports’ history. Echo Fox, the team that met OpTic in the grand finals of GPC New Orleans in July, didn’t reach the grand finals this time after being defeated by Ghost and Spacestation Gaming to finish fourth. Ghost Gaming, the unfortunate victims in tonight’s grand finals defeat, lost both of their matches to OpTic Gaming, who bested them in the winners finals and in the aforementioned grand finals. They’ll still get to walk away with $50,000, although it likely pales in comparison to beating OpTic.